We’ve had a big influx of new cookbooks in our household this week. This was partly our own fault, as we used my husband’s birthday discount at Village Books as an excuse to go a little nuts in the food section. Then a friend who’s in the midst of serious decluttering offered me some of her books, and I never can say no to a cookbook. So we have nine new books to find space for on our bulging shelves. Not to mention cook out of. 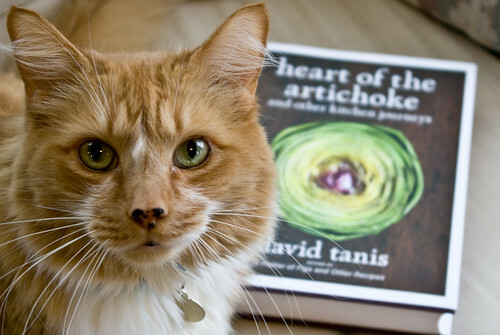 They all have possibilities, but the one I’ve been glued to most is David Tanis’ new book Heart of the Artichoke . I don’t own his previous work, A Platter of Figs, but I checked it out from the library so many times it felt as if I did. 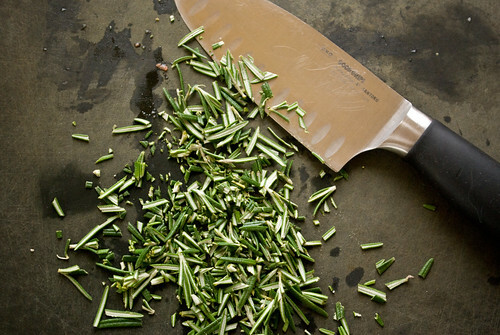 I love his approach to food and the way he puts meals together, plus I adore the shadowy, evocative photographs that accompany his work. I will always be grateful to him for turning me on to parsnips roasted in butter, something I love so much I tend to eat the whole pan’s worth while it’s cooling on the counter. We were in the mood for roast chicken this week, so I decided to try a variation on our usual and make Tanis’ chicken with herbs and lemon. First I cut out the backbone, or spatchcocked it (something I’ve gotten better at since my first effort), then rubbed it with salt, pepper, hot red pepper flakes and fresh rosemary. I had to dig the rosemary bush out of the snow first, but fortunately it hasn’t been too damaged by the hard weather. 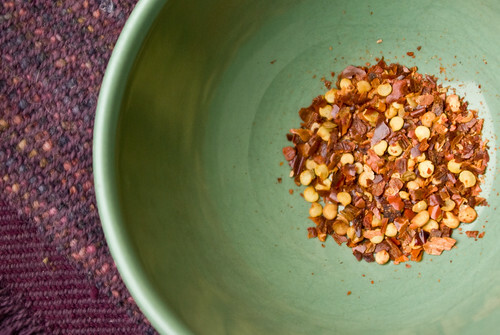 I left out the sliced garlic called for in the recipe because I knew it would burn, but otherwise followed instructions fairly closely. 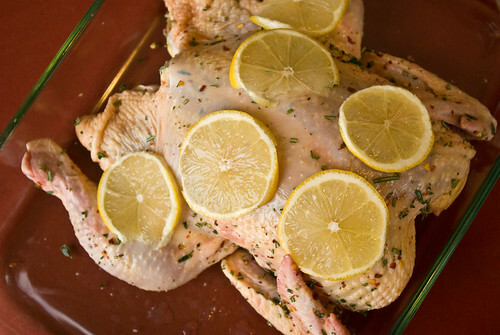 Then I laid sliced lemon all over the top of the chicken and refrigerated the whole thing for about two hours. The chicken roasted at 400° for about an hour, and I took it out when the lemons were nicely charred and the wing and leg skin was golden and crackling. 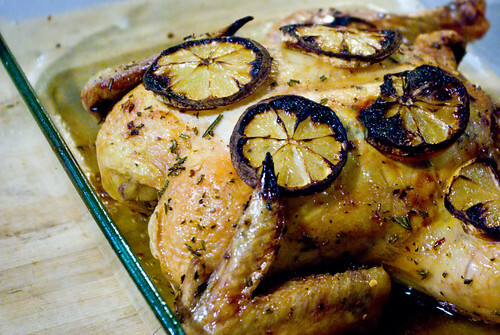 Unfortunately the lemons kept the breast skin from crisping up, which was a shame, but the flavor was just fine. 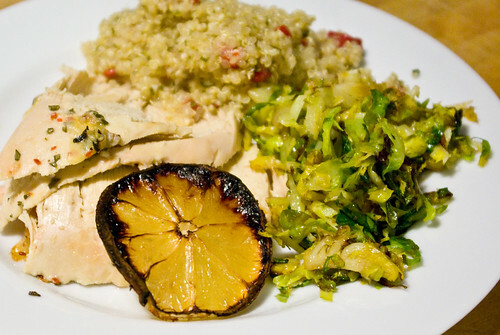 We served up the chicken with shredded and sauteed Brussels sprouts and a pilaf of quinoa cooked with piquillo peppers and several spoonfuls of leftover chimichurri sauce, which brought in a good garlic flavor. Not a bad dinner at all. And many lunches worth of really good leftovers.